Beneath the headlines generated by the debate and the drama surrounding Governor O’Malley’s renewed legislative campaign to abolish the death penalty in Maryland, the lower profile but arguably more important economic issues which directly affect the citizens of our “Free State” who don’t commit or even contemplate “capital crimes”, continue to be pressed in the Chambers and Committee Hearing Rooms of the Maryland General Assembly. Legislation to change some previously long-standing economic relationships and the legal principles underlying and supporting them, are being proposed and discussed so far largely outside the lens and scrutiny of the mainstream media except perhaps notably this newspaper, The Daily Record. The radar of most of our citizens except those most directly affected, i.e., trial lawyers, transactional lawyers largely representing corporate and business organizations, and of course, the business organizations themselves and their lobbyists who serve and advocate on behalf of Maryland’s diverse business community, have not been alerted or if they have, they have not heeded the alert and focused on these potential economic quality of life changes being proposed. So, the debate to date has been by and between advocates for these special business and professional interests. 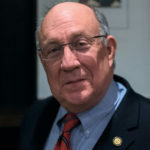 The legislation being proposed, which would alter long-standing economic relationships and the allocation of economic risk in our states, includes bills to change Maryland’s current tort law operating system of contributory negligence, which bars the recovery of damages by any plaintiff who is at all responsible, as a result of his or her own negligence, for an event which injures him or his property to a comparative fault approach, as well as bills to maintain the contributory negligence system by summarily reversing any decision by Maryland’s highest court, the Court of Appeals to change to a comparative negligence standard. That Court is considering such a change in a case already argued before it and under advisement. Other legislation which would change the allocation, regulation and management of economic risk in Maryland also includes legislation to dramatically depart from what is known as the traditional “American Rule”, which in a nutshell says that in America, which includes Maryland last I checked, absent a Statute, Rule of Procedure or Contract (agreement between the parties), stating otherwise all litigants; win, lose or draw, pay their own attorneys fees and costs. This legislation proposed to implement the Findings and Recommendations of the Maryland Access to Justice Commission and introduced as HB130, in the House of Delegates and SB263 in the State Senate “By Request – Chief Judge, Court of Appeals” drew early and sustained fire from expected sources and some not expected. about which the Commission made only a few, very general findings. of litigation prosecuted against government and business in Maryland. costs; and the State’s reputation as a favorable environment for business. by the few individuals in the ATJC Subcommittee that crafted it. That means recognizing as Samuelson points out, that capitalism “thrives on change such as new technologies, products and profit opportunities. Democracy, on the other hand resists change – it creates powerful constituencies with a stake in the status quo.” However, capitalism, which Samuelson defines as “an economic system that relies on markets and private ownership” and democracy need each other. The one (capitalism) generates rising standards; the other (democracy) cushions capitalism’s injustices which can be cruel and unmerciful and, thereby anchors public support for business. “A successful democracy gives people a chance to protect their interests and lifestyles – but when these protections try to deny unalterable economic realities, they became self-defeating. Let’s hope our democracy stays successful despite ominous signs from Washington and that we can work together to insure the fair and efficient management of risk in Maryland in the future.